According to Kantar Worldpanel, skin care market in market is experiencing continuous premiumisation. The average number of skin care products that Chinese urban households buy has risen steadily, reaching 3.63 in the latest year, indicating growing skin care regimen and consumer sophistication. The growth of skin care categories in 2014 reached 11%, far above total FMCG market. While in Korea, the average number of skin care products consumers buy is close 7, which means Chinese manufacturers still have more potential to educate consumers to add more skin care steps and use more products. Mask is the fastest growing category within skin care market in recent years, driven rapid expansion in buyer base. Kantar Worldpanel study shows that 48% of urban households bought masks at least once in 2014. This figure has surpassed those in Korea and Taiwan, showing that the Chinese mask market is entering a stage of maturity. The thriving mask market appeals to a large number of manufacturers, resulting in fierce competition. How can mask brands grow their business along with the category expansion? Kantar Worldpanel reveals the following opportunities by analyzing the differences in China and Korean market. In both China and Korea, sheet mask is most popular and helps grow the category. In China, sheet mask accounts for over 60% of the market, enjoying the biggest buyer base with faster growth. But 45% of sheet mask buyers only purchase the product once in a year. Manufacturers need to educate consumers to regularly use masks so as to improve their purchase frequency, in order to uncover more growth opportunities. In contrast to the fast-growing China market, the Korean mask market has seen negative growth in recent years. Korean consumers are becoming more and more cautious about daily spend due to weaker growth of the economy. Yet In 2014, sheet mask buyers continually expanded and surpassed the number of wash-off mask buyers. This good performance of sheet mask slowed the overall decline of the mask category in Korea. What makes sheet mask so attractive to consumers in Korea? The answer is innovation! On the one hand, the innovative material, from early cotton/organic, dual mask, 4D to hydro gel, is attracting consumers to try, driving consumer upgrade. On the other hand, the natural ingredients are more in line with LOHAS trend and are more appealing to consumers. 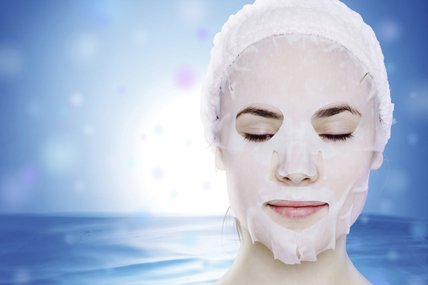 Consequently, to keep the vitality of the China facial mask market, it is critical to continuously innovation on material and ingredient so to bring consumers more reasons to try. The average spend of Korean women aged 40-65 on sheet mask is higher than on non-sheet mask, while women aged 20-49 are just the opposite. Because of this, sheet mask with anti-aging and moisturizing benefits enjoy rapid growth and accounted for 58% value share in 2014. E-commerce is to stay, and the fast growth of single brand stores in Korea proves that bricks and mortar stores will not easily be replaced. E-commerce and overseas purchases grew fastest in the Chinese mask category. The online channel became the second largest channel in 2014, surpassing hypermarkets and falling just behind cosmetics stores. The rapid growth was not achieved purely at expense of bricks and mortar stores. Kantar Worldpanel shows online channels brought up to 94% incremental sales to the sheet mask market. Compared with hypermarkets, consumers shopping in e-commerce channel prefer premium products, shop less frequently and buy larger volumes. Manufacturers should implement a differentiated product strategy according to purchase behaviors in different channels to minimize cannibalization and bring incremental sales to the category. In Korea, E-commerce has already become the largest channel for sheet mask. However, single brand stores enjoyed fastest growth and have been in 2nd place with 18% value share in 2014, ahead of department stores. But with the Korean brands’ strong expansion in China, the Korean manufacturers are replicating the “single brand store” model in China, which may bring about changes to the trade dynamics in the skin care market in China. Food for thoughts – how to realize future growth? Continued market education is necessary: Mask penetration in China is already higher than in Korea and Taiwan, yet consumers ’usage habits are still forming. Manufacturers need to continue market education to cultivate the usage habit and raise the purchase frequency. Continued innovation: Create more consumer needs in terms of mask material, type and function through innovation can help maintain the vitality of the category, drive upgrade and category growth. Multi-channel strategy: If e-commerce channel maintains current growth rate, it will surpass cosmetic stores and becomes the largest channel in the mask category in 2015. The importance of e-commerce can never be underestimated and manufacturers need to adjust their strategy quickly to meet the challenge. The unique shopping experience in bricks and mortar stores cannot be replaced by online shopping, as proved by the fast growth of “single brand stores” in Korea. So a multi-channel strategy is essential to make sure consumers can access your products as much as possible, so as to maximize the sales opportunities. At the same time, manufacturers should match differentiated channel with different product strategies according to purchase behaviors to minimize categories and maximize the purchase occasions.